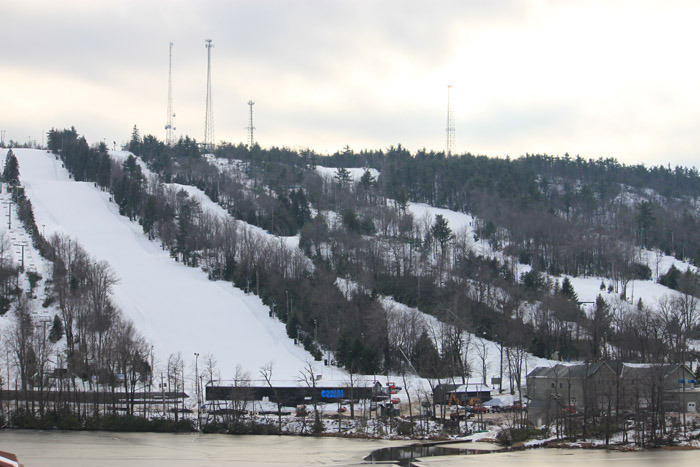 Jack Frost Mountain, located in the Pocono Mountains of Northeastern Pennsylvania and sister mountain of nearby Big Boulder, has 30 slopes and trails, beginner through expert, served by nine lifts and one magic carpet. Snow tubing also is available with eight chutes (singles and doubles) and four lifts. Full service cafeteria, restaurant, pizza stand with 12 restaurants nearby. Wireless in the lodges. Ski shop, nursery, and first aid at the area with a hospital 15 miles away and additional services in nearby Blakeslee. One hundred percent snowmaking. Get Snow Reports, Powder Alerts & Powder Forecasts from Jack Frost straight to your inbox!